The TITAN-AP is the most powerful Access Point in its class. Built with a 1GHz Dual Core Processor, 14 high power amplifiers, and 4 high gain antennas, the TITAN-AP delivers superior Wi-Fi performance and unmatched coverage. 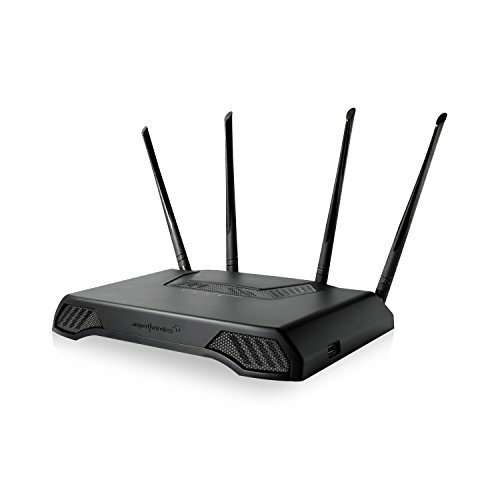 It is built to provide ultimate Wi-Fi coverage, speed, and reliability for the busiest networks with many connected devices throughout a large home or office. Blazing-fast AC1900 Wi-Fi technology provides up to 1900Mbps, making slow downloads and video buffering a thing of the past. With 4 Antenna-RX Technology, the TITAN provides stable and strong connections for all of your devices. Extend your network with the TITAN-AP to go further, move faster and do more.